Rockstar snowboarder Andreas Wiig is one of eight athletes competing in the X Games Real Snow Backcountry video competition. Help him win the fan favorite award by voting for him HERE. Vote once per day until the end of the opening round on July 22nd! 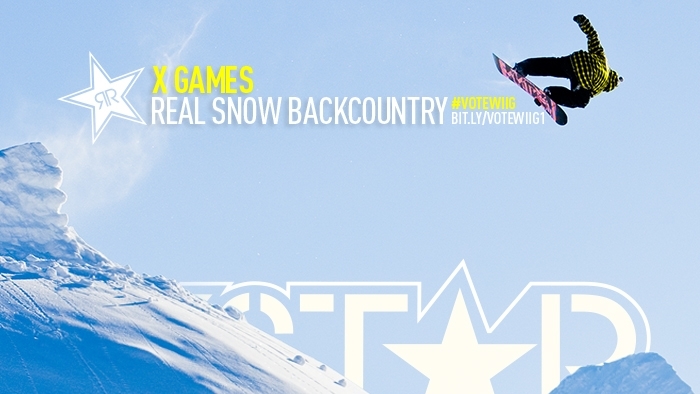 ABOUT REAL SNOW BACKCOUNTRY: Eight of the world's most talented backcountry freestyle snowboarders have submitted 90-second video parts for a shot at X Games gold. Medal winners will be chosen by a panel of industry experts and awarded during the live broadcast of X Games Los Angeles. The Fan Favorite award, however, will be decided by YOU! Remember: You can vote once a day for your picks.